Indemnity Insurance for Doctors | Doctors Defence Service – UK. Doctors Defence Service provides legal services to doctors by way of insurance backed instructions or on a fee paid basis. Doctors Defence Service does not itself provide medical indemnity insurance services, but we can refer doctors to the independent providers (below), who might be able to provide cover for work as a medical doctor. From July 2014, registered practitioners must have in place appropriate indemnity cover, pursuant to the Health Care and Associated Professions (Indemnity Arrangements) Order 2014. However, some employers, such as the NHS, will indemnify certain types of employment and so a clinician employed on such a basis will not necessarily need their own private policy in addition. You should check to ensure that you have NHS indemnity cover, when working for the NHS. Not all clinicians are covered, depending on the contractual arrangement. Check with your employer to ensure that you understand the scope of any indemnity insurance available. Many doctors do not realise that their private indemnity arrangement will not cover all of the work that they might undertake. It is therefore important to apprise one’s insurer or medical defence organisation of the full scope of practice. A failure to do this could lead to a doctor being without cover, and then they would be personally liable for any compensation claims and the legal costs related. For further information, see our page on clinical negligence civil claims. 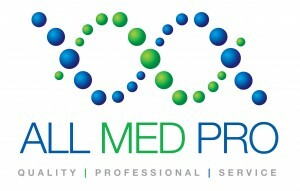 All Medical Professionals Limited – All Med Pro is a specialist insurance broker that provides medical indemnity insurance policies to suit the risks you face as a doctor against allegations or claims of negligence. All Med Pro provides an insurance policy on a “claims made” basis, which means that it responds to claims that are first made against you and notified to insurers during the period of the policy and the run‐off period. The policies are underwritten by A+ insurance companies. The NHS are now in many cases insisting on £10 million cover which we can source on your behalf. Doctors Defence Service does not endorse any particular indemnity insurance provider, and does not receive a commission. No fee is charged to the insurance companies for the placement of information and links on this page.